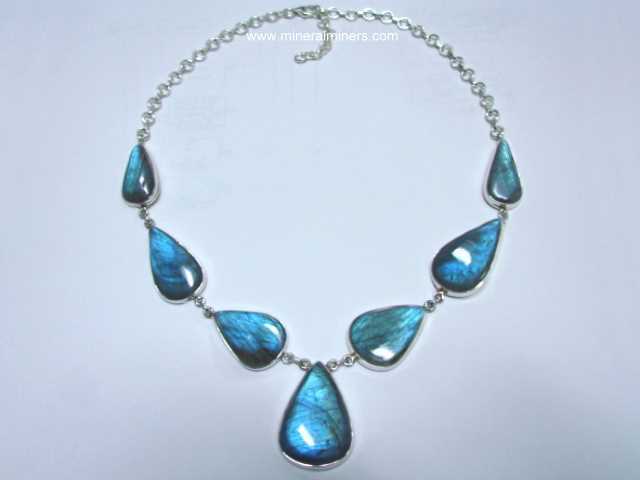 Try our Natural Labradorite Spheres and Eggs Satisfaction Guarantee - compare our prices and our superior quality. 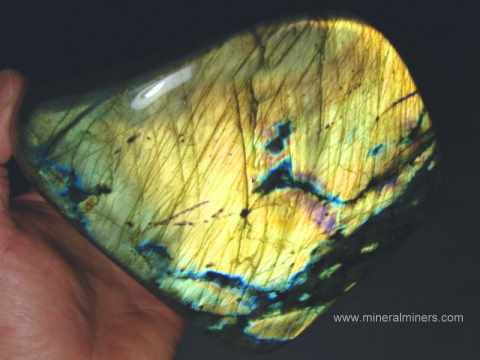 Click on any genuine labradorite sphere image below to enlarge it. This beautiful labradorite sphere was hand-ground & polished from natural labradorite rough that was mined in Madagascar. It shows a "play of colors" (also known as schiller or labradorescence) over some of its surface. The colors include shades of blue, green, and gold. This 2.6 inch labradorite sphere was hand-ground & polished from natural labradorite rough that was mined in Madagascar. It shows a "play of colors" (also known as schiller or labradorescence) over some of its surface. The colors are in shades of blue, green and gold. 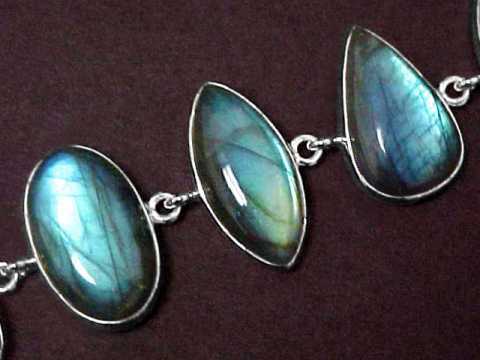 This 3 inch labradorite sphere was hand-ground & polished from natural labradorite rough that was mined in Madagascar. It shows a "play of colors" (also known as schiller or labradorescence) over some of its surface. The colors are in shades of blue, green and gold. This beautiful labradorite sphere was hand-ground & polished from natural labradorite rough that was mined in Madagascar. It shows a "play of colors" (also known as schiller or labradorescence) over some areas of its surface. The colors include shades of blue, green and gold. This beautiful labradorite sphere was hand-ground & polished from natural labradorite rough that was mined in Madagascar. It shows a "play of colors" (also known as schiller or labradorescence) in some areas. The colors include shades of blue, green and orange-gold. This large labradorite sphere was hand-ground & polished from natural labradorite rough that was mined in Madagascar. It shows a "play of colors" (also known as schiller or labradorescence) in some areas. The colors are mostly in shades of blue and green. See also another view of this large labradorite sphere. This large labradorite sphere was hand-ground & polished from natural labradorite rough that was mined in Madagascar. It shows a "play of colors" (also known as schiller or labradorescence) over some of its surface. The colors are in shades of blue, green and gold. This giant labradorite sphere was hand-ground & polished from natural labradorite rough that was mined in Madagascar. It shows a "play of colors" (also known as schiller or labradorescence) in some areas of its surface as shown. The beautiful colors are in shades of blue, green and gold. 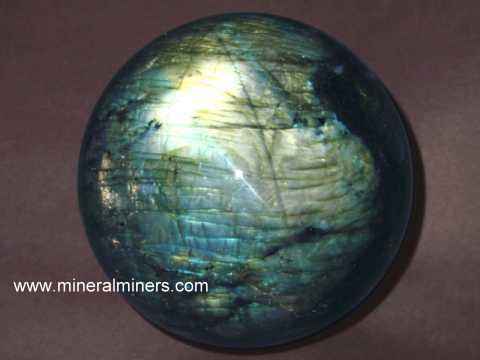 See also another view of this natural color giant labradorite sphere. This is truly a spectacular decorator sphere! 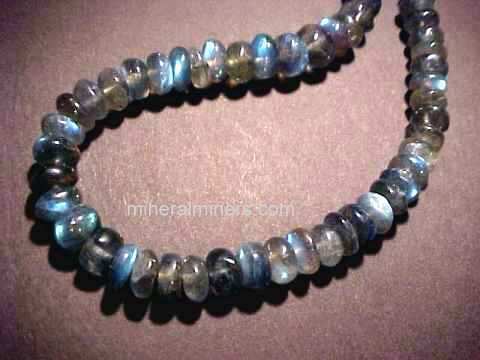 Our Labradorite Mineral Spheres are all natural color labradorite! See also our natural sunstone spheres, moonstone spheres, and our natural jasper spheres. We also offer natural color amazonite spheres (amazonite is another natural feldspar variety). 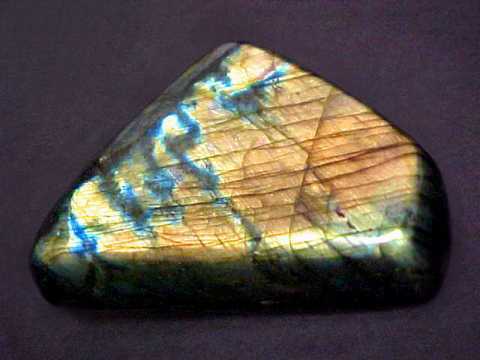 Labradorite is a member of the plagioclase feldspar group. We also have several dozen other varieties of collectable mineral spheres available! 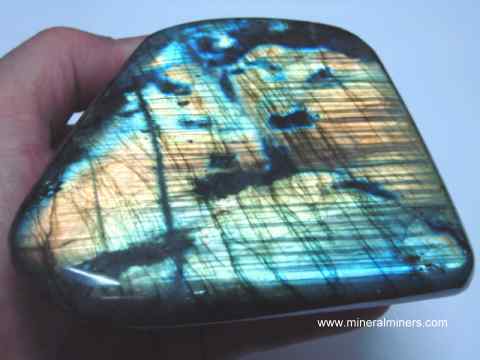 To learn more about natural labradorite see our labradorite feldspar information page. 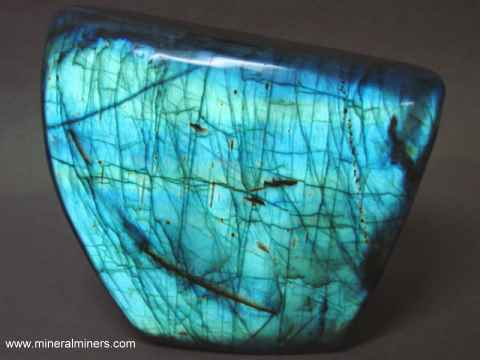 Please see the links below for natural labradorite products including labradorite mineral specimens and lapidary grade polished labradorite pieces! 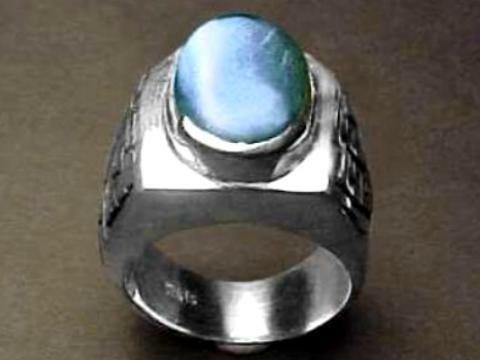 See also our pages displaying genuine Labradorite Jewelry and our genuine Moonstone Jewelry items. 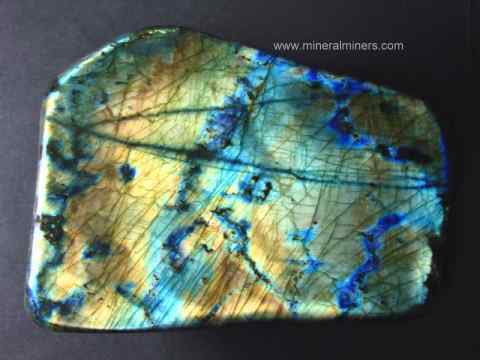 Information about genuine labradorite and its history, physical properties, chemistry, occurance, and metaphysical uses is displayed on our labradorite information page. 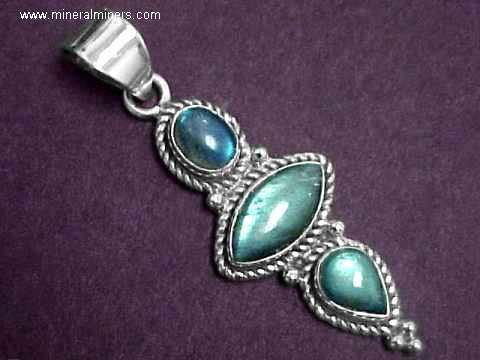 To see more amazonite photos, just select another linked image displayed below. 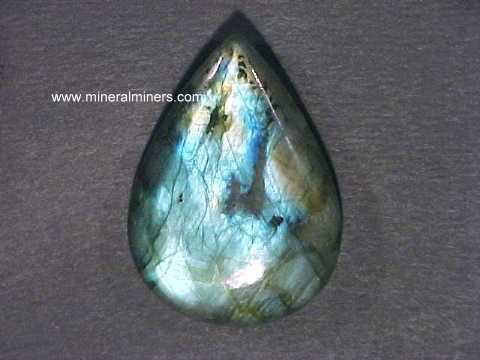 Would you like us to inform you when we add on this page more spheres and eggs that were handground and polished from natural labradorite rough mined in Madagascar? 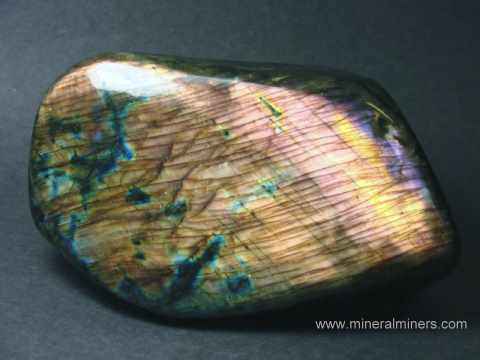 We do have additional inventory of natural labradorite spheres and eggs in stock at our mineral warehouses, so be sure to let us know if you have any genuine labradorite special requests.